Google is giving tough time to smartphone manufacturers, particularly in the photography world. Recently the tech giant spotted mocking ‘Phone X’ users. A member from Pixel team, Marvin Chow, boasts that the Pixel 3 device takes vivid pictures in low-light environments than other smartphone cameras. Google is now bringing the photography competition to a new level as per the latest Ad by the VP product marketing at Google. In a tweet, two images of the same scene, with sheer different results have been shared. Right image on Google with Pixel 3 is quite clear and brighter night scene as compared to ‘Phone X’ photo result on the left. 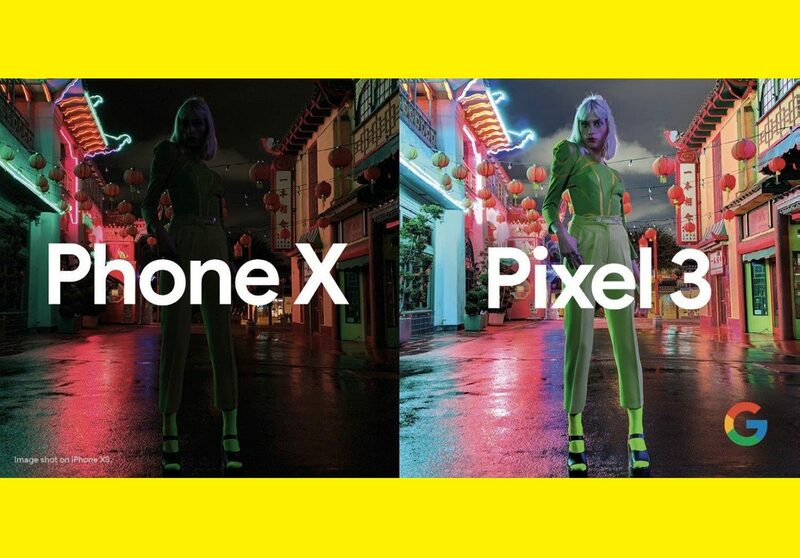 The picture which is taken from Pixel 3 by Google, the neon colored dress is clearly visible as well as the face of the model is quite clear, which is not visible on iPhone XS. However, some photography enthusiasts suggests that Pixel 3 photo result is a bit overexposed as it's destroying some lighting area in the background. Before the launch of Pixel 3, Google somehow ignored the main subject of the photos with dark backgrounds or could not clearly show the main subject. But now it is possible to show the brighter side of the dark images at nighttimes. This will be helpful to show a perfect image or video on large screens and billboards.